THE FLASH’s return is a big episode off- and on-screen: Danielle Panabaker makes her directorial debut, as Barry (Grant Gustin) and Iris (Candice Patton) try to cope with their daughter’s betrayal. 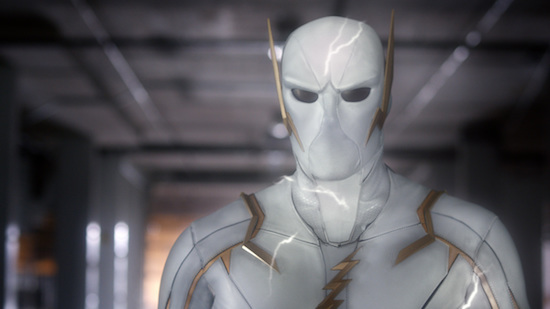 In tonight’s episode of THE FLASH, Barry opts to take on Zoom. But not everyone is thrilled with Barry’s decision: Jay warns that Zoom is too dangerous for them to take on — and Caitlin agrees. 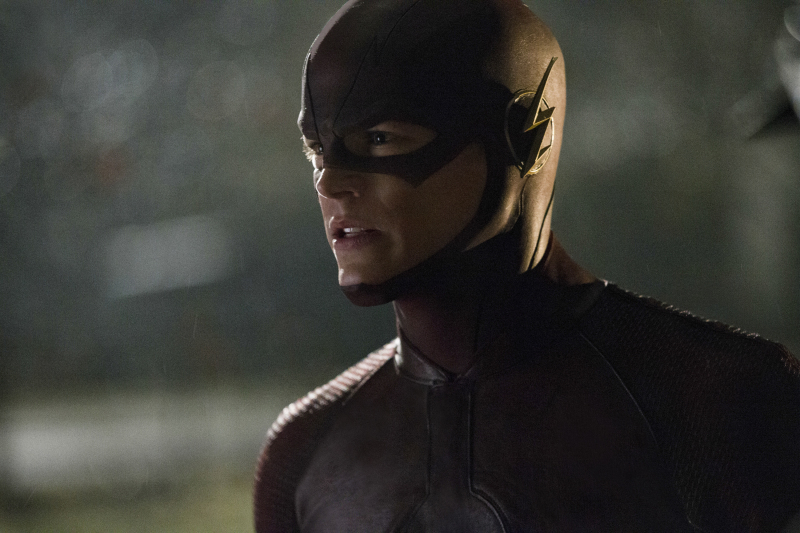 THE FLASH’s Patty Spivot is making her mark. Just a few episodes after her introduction, Barry and Patty will go on their first date in tonight’s new episode. And since Patty proved herself to Joe — and became a member of his (very small) metahuman task force — their partnership will be tested a bit as he keeps some key facts from her. THE FLASH’s Caitlin Snow is canonically headed towards a dark path as Killer Frost, but The CW series is still a long way from taking her there. 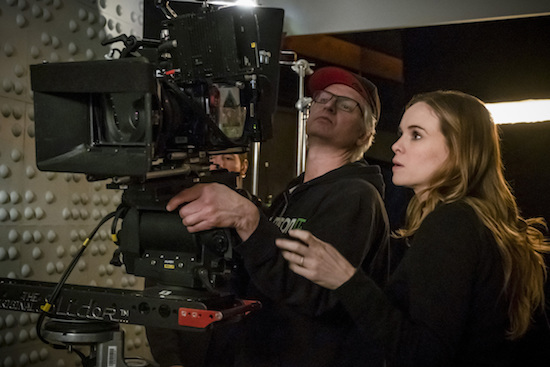 But in the drama’s first season finale, viewers saw a very little glimpses what could be coming in the future — and to showcase that, Caitlin’s portrayer, Danielle Panabaker got to put on a whole new look to showcase Killer Frost. THE FLASH has a lot on its plate this week, as Joe and Cisco head to Starling City to dig into the truth about Wells, while, simultaneously, a metahuman is out there who can shapeshift into some very familiar faces. ARROW’s Felicity and Ray are heading over to THE FLASH in tonight’s new episode, and their timing is a bit awkward — Eddie just found out that Barry is the Flash — and has been asked to keep it quiet — which makes poor Iris as the only one still in the dark. In last week’s episode of THE FLASH, Cisco and Caitlin were forced to see the true depths of Wells’ lies to them. Unfortunately for them (or fortunately in Cisco’s case), Barry accidentally went back in time, and, seemingly, everything they went through was erased. THE FLASH got its first official pilot screening during Comic-Con’s Preview Night (on Wednesday), which means its stars are starting to get their first audience feedback for the show. THE FLASH, The CW’s ARROW “spinoff,” has had a fair amount of exposure over the past six or so months, as the pilot was originally set to be a backdoor pilot during the second half of ARROW’s sophomore season (and Barry Allen was introduced in an arc in the show’s 2013 episodes). But now, Barry Allen will officially have his own series, and THE FLASH will be paired this fall with SUPERNATURAL on Tuesdays. And while we got teases of The Flash’s mask and full costume (and teaser aired during last night’s ARROW finale), we now have a few photos from the episode, the network’s official description of the series, and a proper trailer.